One needn’t spend very long on the Kaufmann Mercantile site to see that they’re serious about their product assortment. Everything is high quality, aesthetically pleasing and has a story—one that typically involves handcrafting or generational know-how. No made in China here. Not only are the product summaries exceptionally thoughtful and informative, but the site’s Field Notes library is a treasure trove of succinct articles on everything from designer Arne Jacobsen to copper care to the history of salt. There’s even a fascinating look into the world of giant pumpkins! Yes, I’m a fan. 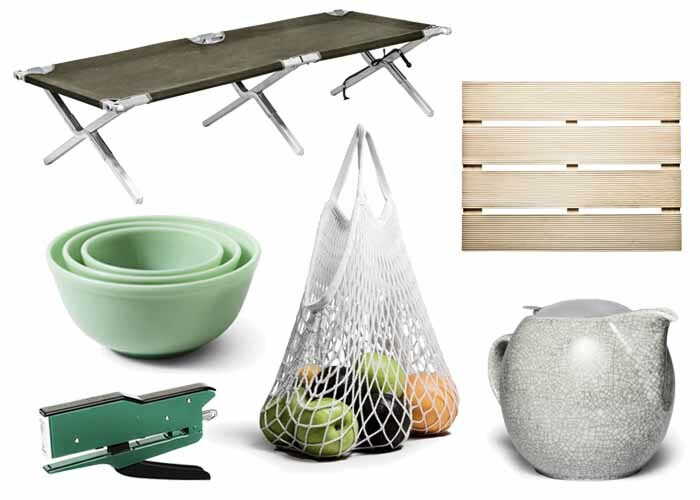 This collapsible cot is perfect for overnight guests. Line it with a few sheepskins, throw a sleeping bag over and voile—a cozy guest bed that can go anywhere you have an extra 28” x 77” worth of floor space. 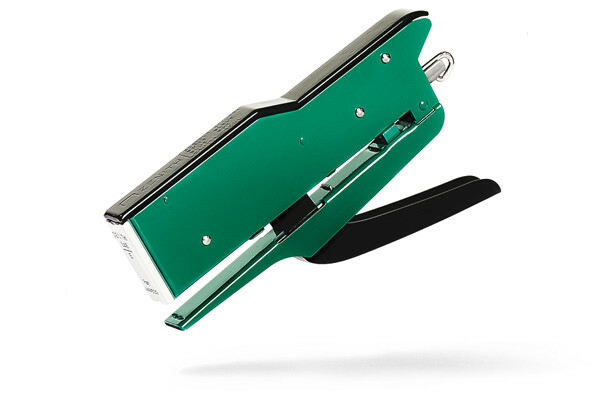 Made in Italy, this Green Giant of staplers would command serious respect at the office. 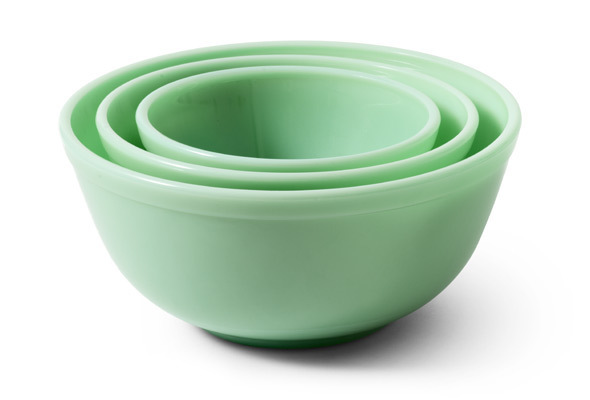 These 3-piece nesting bowl sets are made right in Ohio. Their milky green shade is so much more alluring than clear glass or steel, as far as mixing bowls go. 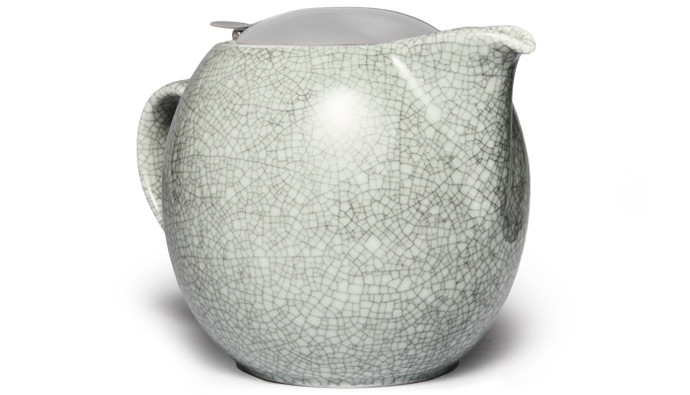 Handcrafted in Japan, this crackle finish teapot is an amazing steal at just $34.95. A great gift idea for Mother’s Day or your next housewarming party invite. 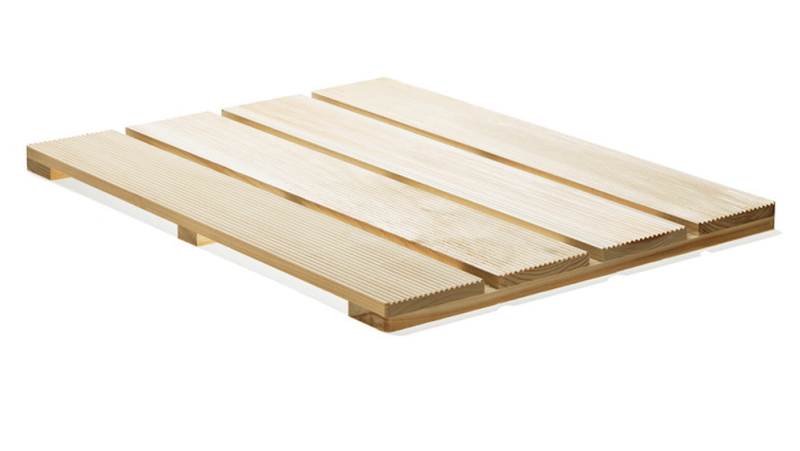 Wooden bath mats are an easy way to add spa charm to your bath—especially when made of fragrant cyprus wood like this one. Also made in Japan. 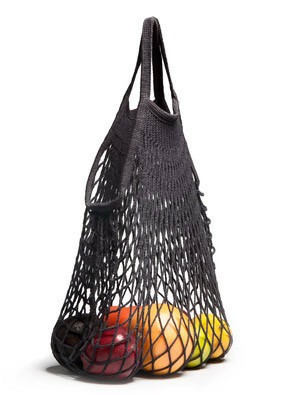 Long before humorous tote bags were a thing, French net bags were the ultimate reusable market bag. Keep simple tradition alive, in classic natural or sleek black.